It has been something of a step into the unknown. All right, I’ve done plenty of translation before from my adopted second language, Icelandic, a language that 320,000 Icelanders and a couple of dozen non-Icelanders speak. It’s a long story, but I lived there for a long time, boy meets girl and all that stuff, and found myself staying a lot longer than originally intended. But to get back on track, I’ve done bits and pieces of translation before, almost all of it fairly grim technical and news material, although there was a novel I translated years ago for the fun of it and eventually wound up publishing myself as an e-book. It’s here if you fancy a look, but I warn you, it’s not a crime story and there are no murders in there. 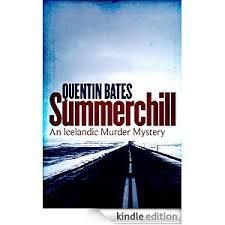 It was a surprise that there are so few Icelandic crime writers translated into English. 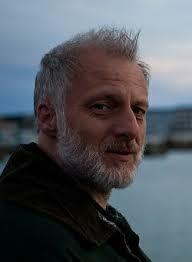 For a long time there were only two, the two everyone knows about, Arnaldur Indriðason and Yrsa Sigurðardóttir. Then they were joined by Viktor Arnar Ingólfsson with a handful of books and Árni Thórarinsson with only one and it’s a shame as Árni’s books are excellent, refreshingly different with a journalist as a protagonist rather than a detective or a lawyer. It has long been a mystery to me why so many Swedish and Norwegian crime authors seem to make it seamlessly into English, while their Danish, Finnish and Icelandic counterparts have been left behind, even though they frequently seem to be published in every other language; but not English. But now there’s one more. A bunch of us conspired to get Ragnar Jónasson published in English, pulling strings and passing the word to kick-start the process. The excellent Karen Sullivan was in the process of setting up her new imprint, Orenda Books, and was able to publish six books in her first year. 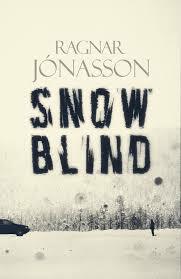 She managed to secure Ragnar’s Snowblind, his debut novel (published on 20th April on Kindle and 15th June in paperback) as well as his latest novel, Nightblind. So this is where the step into the unknown began. I was sure I could produce a translation, and hoped it would be up to Karen’s exacting standards, very much aware that for a new publisher with a limited number books in its first year, each book has to count. Translation is different from writing your own stuff. There are similar technical aspects, but it calls for a different set of skills. There’s no plotting to worry about as the author has already done all the heavy lifting there, but while technical translation calls for precision and accuracy, literary translation also calls for accuracy, but in a different way. A technical handbook needs to be as close to the original as possible, while still making sense, as anyone who has bought a Chinese-made DVD player with a badly translated handbook will understand. With a novel it’s more about being faithful to the spirit of the author’s words than to those words themselves. Sentences might need to be rolled together, as Icelandic uses short, sharp sentences. Like this one. That don’t work in English. Punctuation is also a headache and it has taken me years to figure out that a full stop in Icelandic isn’t necessarily the same as a full stop in English. The nature of an Icelandic full stop can depend on the context and it can be the equivalent of a semi-colon, or even a comma, just a pause in a narrative rather than a break, but the context is all-important. Then there are the idioms that need to be rendered into English, and often enough there isn’t any direct translation that does the original justice or captures the right feel. So some suitable parallel phrase has to be found. Worst of all are jokes, especially a joke or a phrase that relies on an untranslatable play on words. This is where the translator has to go out on a limb and trust instinct that the replacement joke, which may be nowhere even close to the original wording, is strong enough to capture the elusive feel that the author was looking for. All this has to be achieved without crossing the often very elastic line from being a translator into the other world of being an editor. There should never be a temptation to improve on an author’s work, only to interpret it in the best way possible, and it’s well known that a poor translation can ruin a good book. On the other hand, an inspired translation can lift a good book and make it into something outstanding. These days I find myself looking for the translator’s name as well as the author’s. I know that if a book translated from French has Frank Wynne’s or Ros Schwartz’s name on it, I’ll be in good hands. The same goes for Anthea Bell, that queen among translators who produced those inspired English-language versions of Asterix the Gaul that were part of my childhood, plus so much else… then there’s Don Bartlett for anything from Norwegian, and this list goes on. So it has been a challenge. Translation has also been better that the most fiendish crossword for keeping the grey cells active, almost as fiendish as the plotting of Ragnar’s book. There has been much silent muttering and poring over dictionaries, and my vocabulary of obscure Icelandic words has certainly grown. Would I do it again? I already am… Look out for Nightblind next year, and hopefully a few more of Iceland’s stable of crime writers appearing in English in the next few years. A huge thank you to Quentin Bates for dropping by today to talk about stepping into the translation zone, and for giving us a peep behind the scenes at Snowblind. I found this post really, really fascinating, CTG! I’ve always had a fascination with words and where they come from and how they relate to each other, and this extends into the way translators work – I could have read so much more about it; he was a great interviewee! I’m looking forward to Snowblind (I’m still carefully reading The Abrupt Physics Of Dying, and have come to the conclusion that our hero has put his trust in the wrong person entirely! I also have Last Days Of Disco, but I can’t read it in bed as I wake Mr C laughing! So it has to be put aside when he comes to bed! 😦 ) I think Snowblind will make great reading now Fortitude is done!